Missing WCCC extended furlough inmate Myra Kahele arrested. Escape 2 is expected to be added to her charges. Missing Women’s Community Correctional Center (WCCC) extended furlough inmate Myra Kahele was arrested by Honolulu Police this morning. 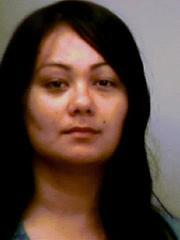 Kahele failed to return after work to the YWCA Fernhurst furlough home in Makiki on May 5th. Kahele was serving time for Promoting a Dangerous Drug 3 and Prohibited Acts Related to Drug Paraphernalia. Escape 2 is expected to be added to her charges.